Official medical reports present urticaria as hives that appear on your skin as the result of an allergic reaction. However, you can still witness urticaria plaques spreading all over your hands and feet even if you don’t have any allergies. It is not rare that people develop welts without discovering the real trigger before it’s too late. As surprising as it may seem, physical exercising can lead to the appearance of welts. A combination of sensitive skin and excessive sweat leaves the door wide open for an urticaria breakout. As medical studies show, the more you increase your body heat, the bigger the chances are of developing hives. Nevertheless, this does not mean that you have to stop working out. Your best choice is to keep handy a small bottle of OxyHives. This quick remedy for urticaria stops the plaques from enlarging and reduces their size from the very first application. Almost any infection that you could suffer from will eventually lead to urticaria if you leave it untreated. Tooth decay, kidney inflammations, and even urinary tract infections can produce welts on your skin. While the bacterial origin of your hives has to be treated with the proper, according to remedy, the plaques on your body can be eliminated with OxyHives. Apply the solution on the red patches long after you have cured the infection to prevent a possible relapse. Standing in the sun for too long may produce hives. This trigger for urticaria is quite obvious, since excessive sunlight increases body heat. However, there is another reason for which you should avoid too much tanning time at the beach. The UV radiations are extremely dangerous for your skin. Extended exposure to the sun reduces your immunity to radiating agents, and you become incredibly susceptible to welts. Intense mental pressure may be a rare yet possible cause of urticaria. Many people develop welts, and they cannot figure out what triggers them, until they realize just how stressed they are. Any excessive pressure, whether it is related to work, family or financial troubles lead to anxiety. During this period, your body is trying to signal that its health is in danger, so it releases a significant amount of histamine – the organic compound responsible for hives. You can alleviate stress by reducing your exposure to its trigger. Also, meditation, yoga and other sports activities can lower the level of mental pressure. 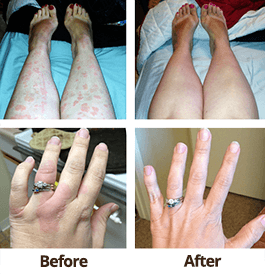 Next, to remove the urticaria patches from your skin, you should use OxyHives – the best natural treatment for welts, red bumps and plaques that money can buy. Temperature can be very tricky when you are highly sensitive to the changes in your thermostat’s settings. Just as excessive heat can lead to urticaria, so does standing for too long in freezing conditions. It does not even have to be winter outside for you to develop hives. Just by swimming in the cold water of a swimming pool can produce irritating welts all over your body. Depending on your sensitivity, maintaining a constant temperature of your body is essential. 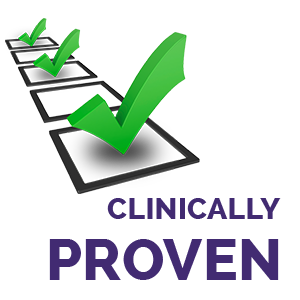 However, since this is almost impossible to achieve, you will need another solution for possible urticaria breakouts. 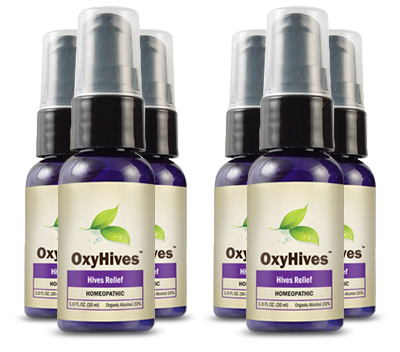 Again, OxyHives is ideal for treating welts quickly and effectively, without risking any adverse side effects.